The following information can be found in the Weekly Message from the Superintendentfrom January 29, 2019. 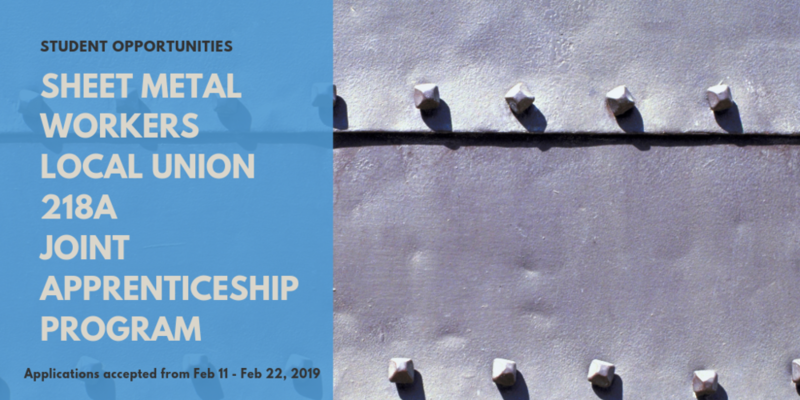 Sheet Metal Workers Local Union 218A Joint Apprentice Committee is accepting applications for their apprenticeship program from February 11 - February 22, 2019. Refer to the Weekly Message from the Superintendent for more the link to apply.